Whats the difference between Photoshop CS6 and Photoshop CC? Why upgrade to Photoshop CC 2014? Are you using an old version of Adobe Photoshop? Thinking about upgrading the the Adobe Creative Cloud subscription model? Well hopefully this review of my five top new features that are only available in the new CC version of Adobe Photoshop. Remember you can down load a FREE 30 day trial of Adobe Photoshop CC HERE to try it out for size. Learning how to use the selection tools in Adobe Photoshop has always been the key to mastering the software, selecting areas, saving selections etc and Adobe has been progressively adding new more intelligent selection tools to its tool bar. 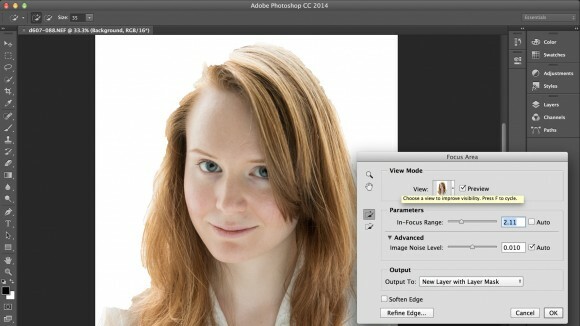 Photoshop CC 2014 adds a brand new selection tool called Focus Mask. 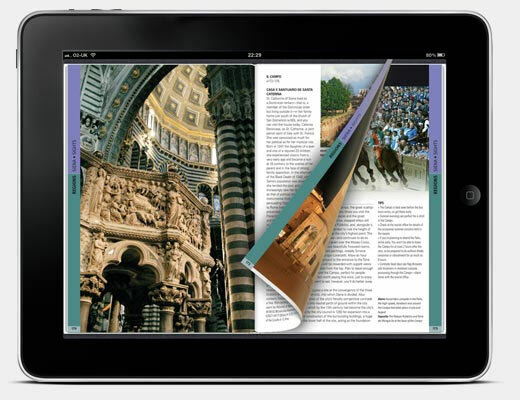 Focus Mask intelligently creates selections by examining which areas of an image are in focus. Its a really useful tool to start making a selection. 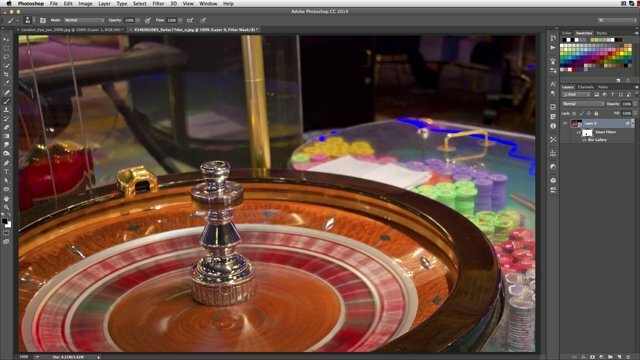 Photoshop CC 2014 brings with it two new blur filters to the blur gallery, there is a path blur and a spin blur. As the name suggests on these a path blur enables you to create a blur along a specified path and a spin blur enables you to blur on a circular path. Both of these give a great new range of creative opportunities in creating dynamic moving effects to your images. 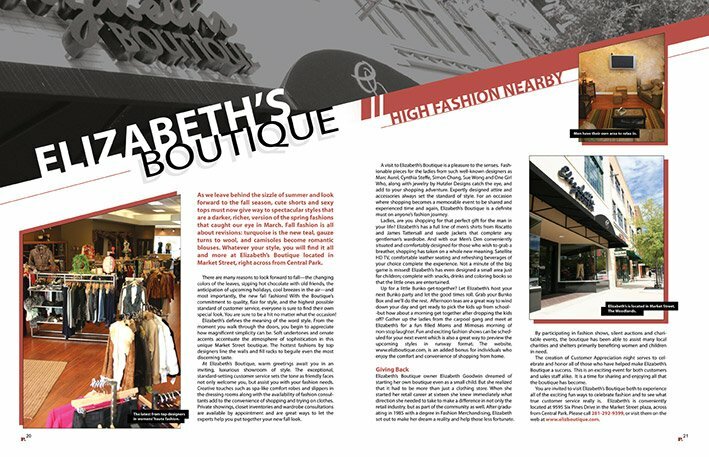 Have you ever used the guides in Adobe Illustrator and InDesign and wished that Photoshop was as good? Well finally Photoshop CC 2014 introduces smart guides, easily align objects with each other or the canvas and feel your objects snap to the guides as you move them around. There is also a handy feature that displays the distance and alignment of two objects much like you have in Adobe InDesign. 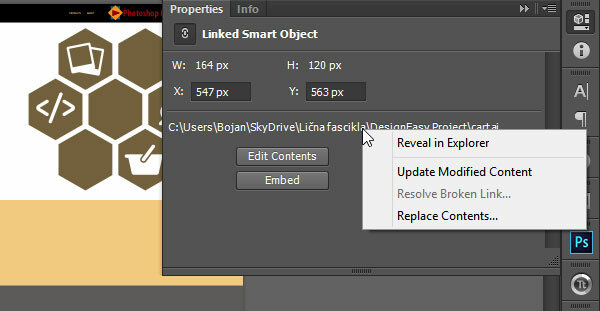 With Photoshop CC 2014 you get the option to either ‘Link’ or ‘Embed’ your smart objects this gives you the opportunity to use a smart object in multiple Photoshop CC files, then when you update the original file the new version will appear in all the Photoshop CC documents that you have linked it too. If you have ever used the content aware feature in Photoshop I’m sure you are already a big fan. In Photoshop CC 2014 there are even more improvements. Using the ‘Colour Adaptation’ option when you use a Coontent Aware fill really gives you much more control when blending colours and textures. Improvements to Content Aware Technology – Why did content aware leave a line or not properly align the area in which the girl was removed?